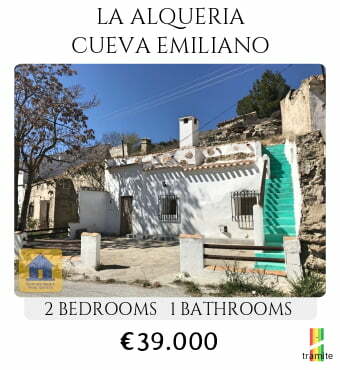 If you are looking for a Cave, Cortijo or Farm House, please browse our website, or contact us with your requirements and we will do our very best to find you your dream property. We will support you during the whole process of buying your property. We help you to obtain your NIE (Tax) number and to open a Bank Account. We will check legal aspects, paperwork and assist you at the Notary, where you sign for your property. We do viewings every day. Same day viewings are possible and we can also show you some properties at the weekends. Please pick a date to come and see us and we will show you a range of properties you will hopefully like. Come out and explore! We look forward to seeing you! Cuevas Spain Real Estate - Office: Calle Morote 23. 18830. Huescar (GR) España.